BISHOP is the classic, raglan-sleeved bishop with smocking around the neck. It falls just below the knee. The revised BISHOP pattern is inspired by the original Betsy, Gwen, and Ki Bishop patterns by Elizabeth Travis Johnson, and includes two views that close in the back. View A has an easy self-faced placket with a seam up the center back. 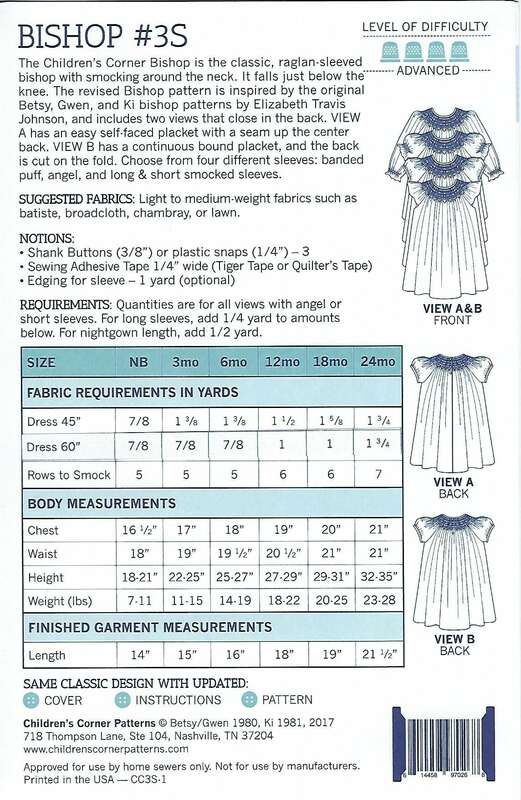 View B has a continuous bound placket, and the back is cut on the fold. 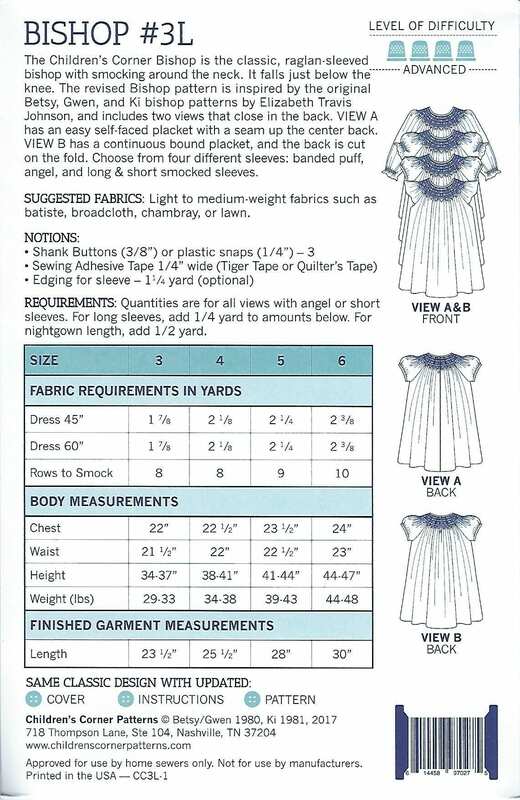 Choose from four different sleeves: banded, puff, angel, and long & short smocked sleeves. 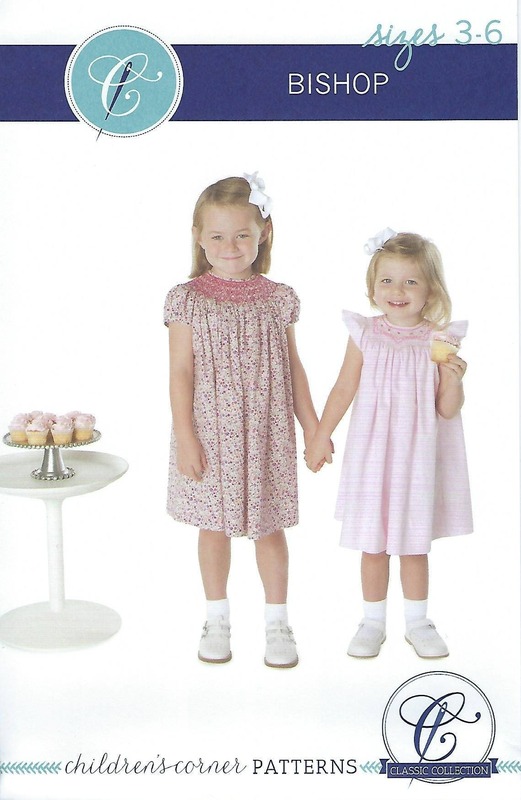 The vendor shipped quickly, but this being my first purchase of a Children's Corner pattern, I didn't realize that the smocking grid (dots) was not included in the pattern. I have had to purchase that separately. Great item, as described and arrived very well.